Victoria Miro is delighted to announce the publication of Isaac Julien: Looking for Langston, a lavishly illustrated, limited edition book by the internationally acclaimed artist and filmmaker, featuring newly-conceived photographic works in addition to storyboards from Julien’s seminal 1989 film, Looking for Langston, never before published contemporary Polaroids and rare archival material. This limited edition artist’s book, designed by Olu Odukoya, focuses on Isaac Julien’s seminal work Looking for Langston (1989/2017), a lyrical exploration – and recreation – of the private world of poet, social activist, novelist, playwright, and columnist Langston Hughes (1902 – 1967) and his fellow black artists and writers who formed the Harlem Renaissance during the 1920s. Directed by Julien while he was a member of Sankofa Film and Video Collective, and assisted by the film critic and curator Mark Nash, who worked on the original archival and film research, the 1989 film is a landmark in the exploration of artistic expression, the nature of desire and the reciprocity of the gaze, and would become the hallmark of what B. Ruby Rich named New Queer Cinema. Looking for Langston is also regarded as a touchstone for African-American Studies and has been taught widely in North American universities, colleges and art schools for nearly 30 years. The newly-conceived photographic works featured in the publication revisit and expand upon aspects of the film and its multilayered narratives of memory and desire, expression and repression. While some works focus on scenes from the completed film, the images also document the film’s making: its staging, lighting, iconography and choreography. All are renderings of the visual components that might be missed in a fleeting filmic image. Julien shot Looking for Langston in the 1980s in London but set it in the jazz world of 1920s Harlem. His use of low-key lighting and sculptural smoke further complicate historical periodisation, infusing the work with a 1940s film noir feel. The imaginative combination of epochs creates a kind of ‘creolisation’ of photographic forms as well as a potent and self-conscious timelessness. While Julien was directing the film, he paid close attention to the photographs of James Van der Zee, George Platt Lynes and Robert Mapplethorpe, and it is possible to see a direct relation between images imbued with references to the history of 1930s black-and- white African American photography and 1980s Queer cultures. Looking for Langston was made when the AIDS crisis was at its height and several of its actors died after the film was made, including Matthew Baidoo (Beauty, after the Bruce Nugent poem Smoke, Lilies and Jade), Ben Ellison (Alex, the young Langston Hughes character) and Jon Iwenjiora (Dancer at Wake, who appears in Pas de Deux). For Julien, the photographs act as ‘memorial sites’. Sometimes they reveal facts behind his fictions and explore the creative process, at other times they zero in on a portrait or go deeper into a moment of contested history. Whatever the case, Julien is unapologetic about his pursuit of beauty and the importance of visual pleasure as an entry point to any exploration of subtextual issues. 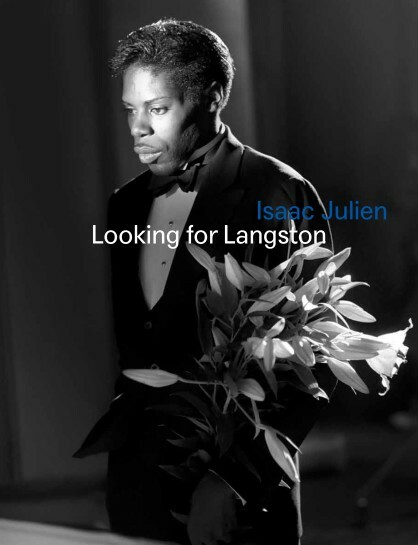 Published on the occasion of the exhibition Isaac Julien: “I dream a world” Looking for Langston, at Victoria Miro (18 May – 29 July 2017) this lavishly illustrated publication includes texts by Isaac Julien and Pulitzer Prize winning critic Hilton Als, alongside rare archival material including storyboards by artist John Hewitt, colour polaroids taken during the making of the film and additional material relating to its original presentation and critical reception.